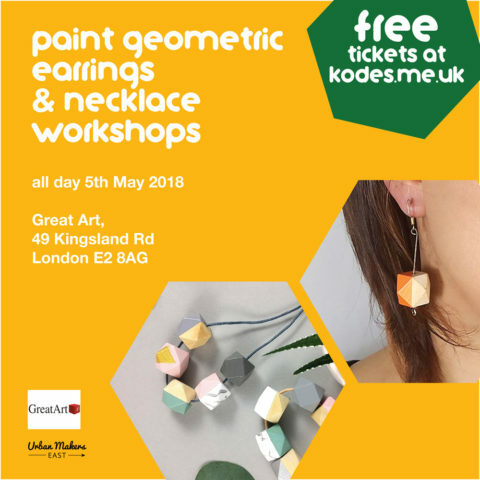 Paint your own geometric accessories, join one of my workshops! 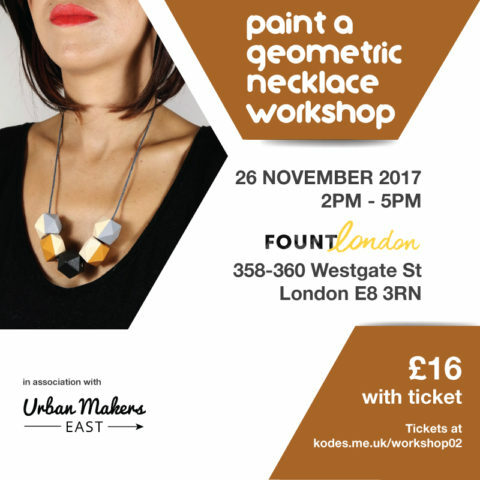 Join one of my workshop and make your own geometric necklace or pair of earrings. Let your creativity flow and see where your imagination will take you. 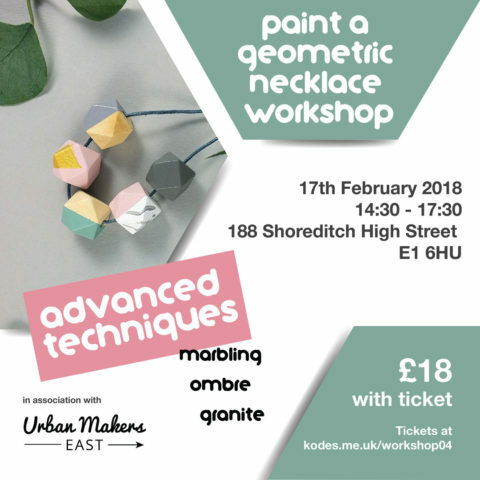 Or learn how to create a marble, granite, polka dot or ombre effect, design and make a unique piece of statement jewellery no one else has worn before. 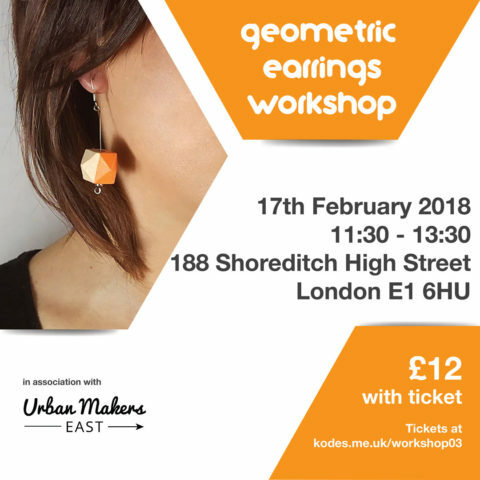 If there are no upcoming workshops but you’d still like to take part to one, get in touch via email at [email protected] or join the newsletter on the right. 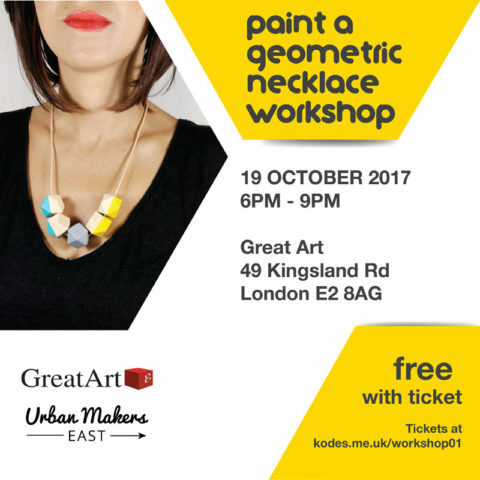 Why not organise one of the Paint Your Geometric Necklace as one of your Hen Party activities? 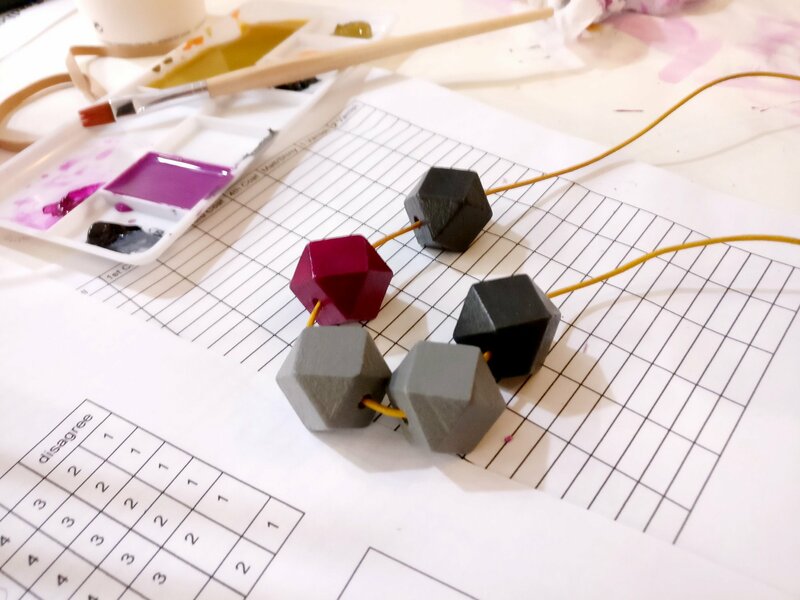 Everyone from the bridal party can paint one of the regular necklaces, or one from the bridal collection which has hand stamped (by you!) 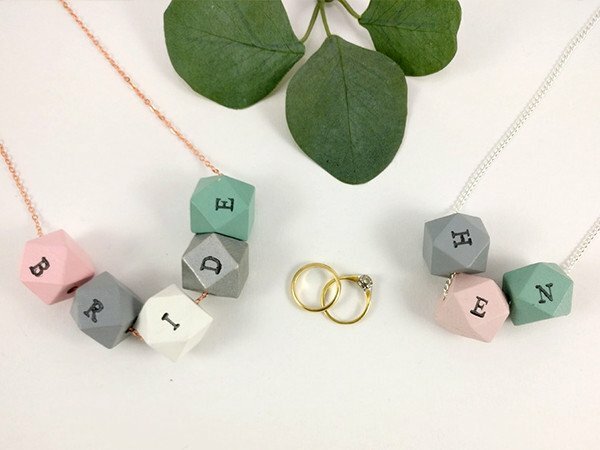 letters, choose from BRIDE, HEN, MOH (Maid of Honour), MOTB (Mother of the Bride) or simply add your initials, or spell any word you would like (up to 7 letters). Morena was amazing – so friendly, supportive and enthusiastic. 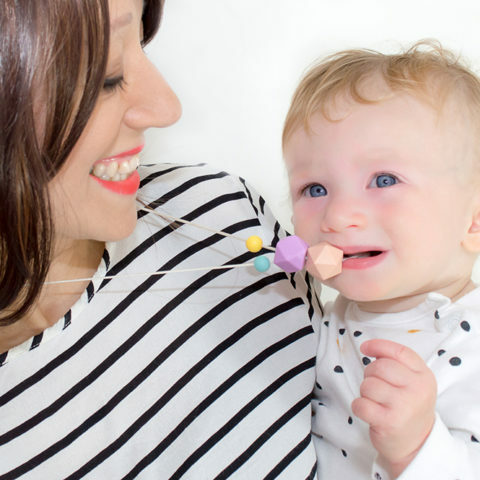 The necklace was simple to make yet so effective – love it! !